Adaptive intelligent learning environments (AILE) seek to optimize the learning process for every individual learner. To this end, they create and maintain models of domain knowledge, instructional activities and the learners themselves. AILE is an active area of research that can be traced back to the 1970s. Over these years, a multitude of technologies and approaches have been proposed, implemented and empirically validated. A range of important pedagogical effects of AILEs have been documented in the literature—from increased speed of learning and better knowledge retention, to improvements in knowledge transfer and learner motivation. Two core research communities that drive further development of the field are Intelligent Tutoring Systems (ITS) and Adaptive Educational Hypermedia (AEH). This chapter outlines the evolution of AILEs over the years, describes their main principles and architectural components. 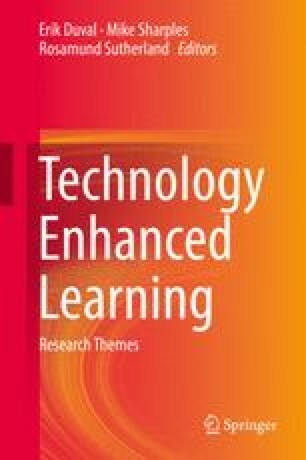 Several classical systems exemplifying core AILE technologies are presented and emerging trends setting up the research agenda for the field are discussed at the end of the chapter.